Guaido invoked the constitution in January to assume the interim presidency after declaring Maduro's 2018 re-election a fraud, and has been recognized by dozens of Western nations as the country's legitimate leader. "They have kidnapped @ROBERTOMARRERO, my chief of staff," Guaido said in a post on Twitter, adding the Caracas residences of Marrero and opposition legislator Sergio Vergara had been raided before dawn. "We do not know their whereabouts. They should be freed immediately." Venezuela's Information Ministry did not immediately respond to a request for comment. The development prompted quick condemnation from the U.S., with Secretary of State Mike Pompeo on social media calling for Marrero's release, stating, "we will hold accountable those involved." 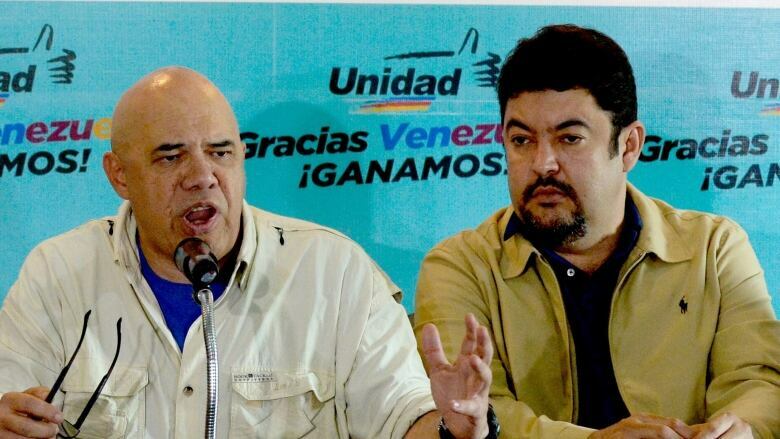 Opposition lawmaker Sergio Vergara, whose nearby residence was also searched, also said Marrero was taken by intelligence agents in the overnight operation in Caracas. Vergara said he was woken up by heavy banging at his door and agents pointed weapons at him. Vergara and Marrero both accompanied Guaido as he travelled around South America in February to drum up diplomatic support for his government, defying a travel ban imposed by the pro-government Supreme Court. He later entered the country via Venezuela's principal airport without being detained by immigration officials. Dozens of countries, including Canada, the United States, major European powers and most South American nations, say Maduro's rule is illegitimate and have backed Guiado until free and fair elections can be held. Maduro says his government is the victim of an "economic war" led by his political adversaries, and blames U.S. financial and oil sector sanctions for the country's situation.